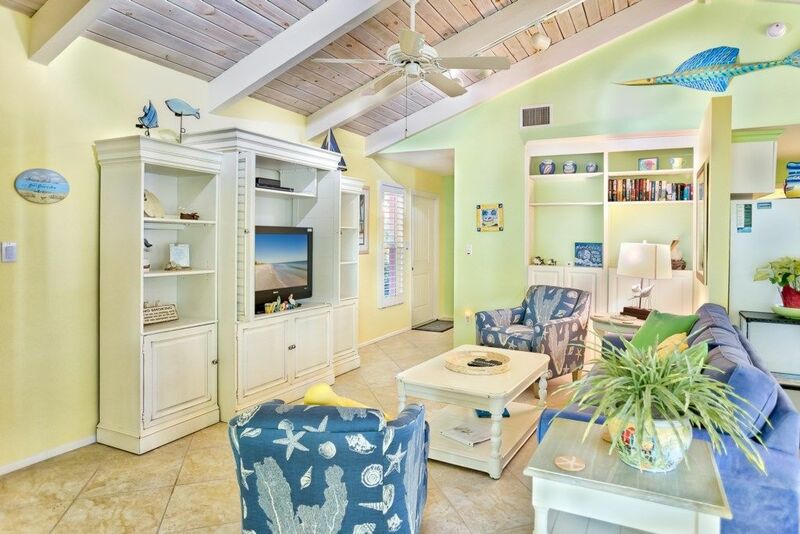 Escape your worries in this Captiva Island beach bungalow. 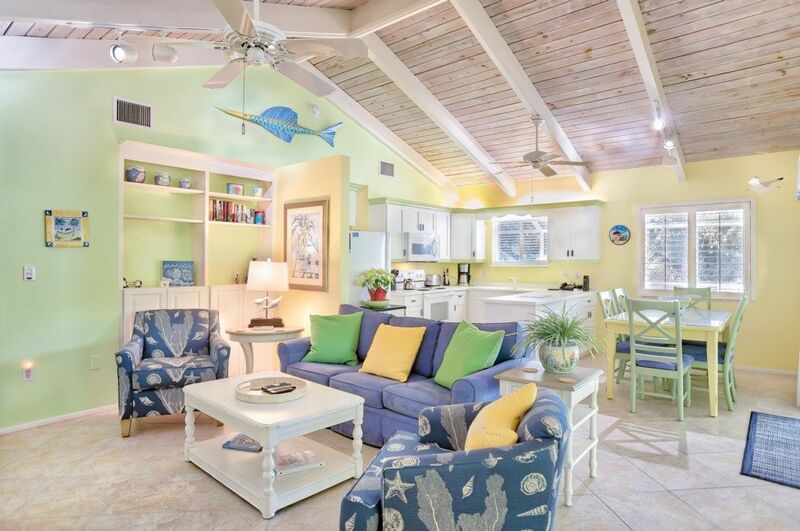 Enjoy the bright and cheery island décor throughout this three bedroom two bath pool home. 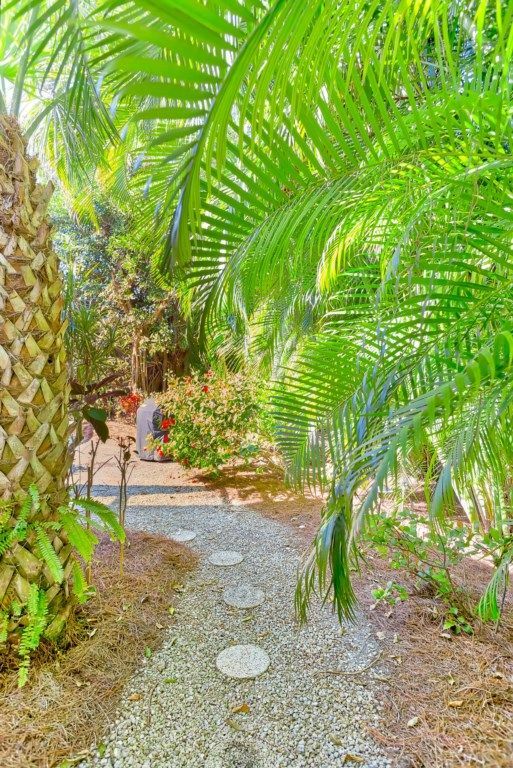 Surrounded by bright tropical vegetation this home offers a perfect location to the Heart of Captiva as well as ultimate privacy. Equipped with everything you need to enjoy your vacation this bungalow features vaulted ceilings, tile floors in the living areas, a 47 inch flat screen TV in the great room, two DVD players, televisions for each bedroom, Wi-Fi, a fully equipped kitchen with a large refrigerator, dishwasher, range, washer, dryer and dining table for six. 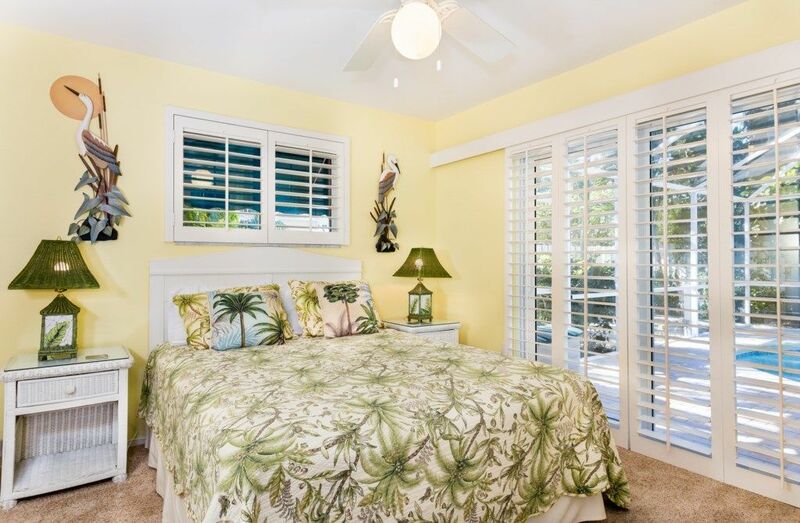 The relaxing master bedroom has a king sized bed, master bathroom with shower and its own private patio. 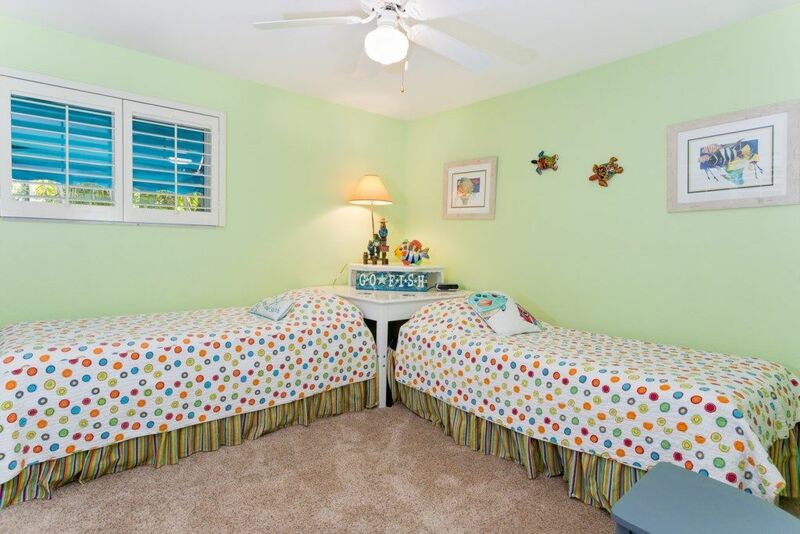 The first guest room has two closets and two comfy twin beds. 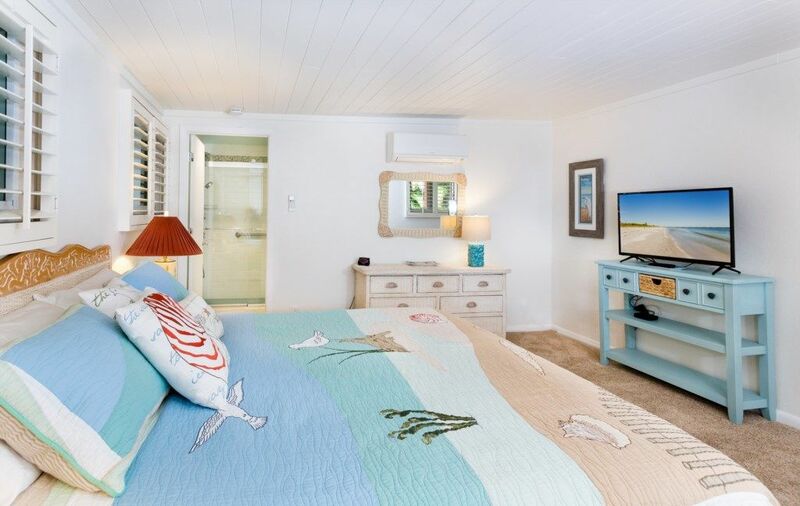 The 2nd guest room has a queen bed and sliding doors that look out over the tropical pool. 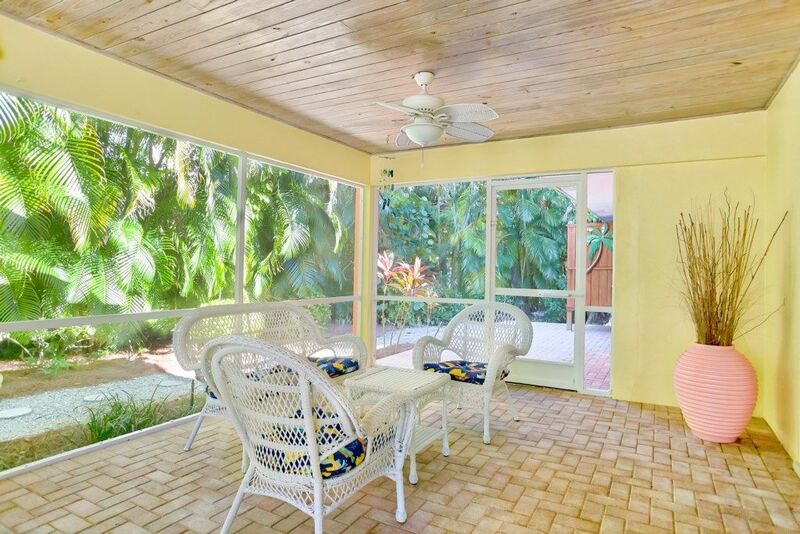 Spend your days relaxing by the large screened in pool, reading a book in the screened in patio or walking on the beautiful beaches. Spend your nights enjoying the delicious island restaurants, watching amazing sunsets or listening to a local musician play tropical tunes. 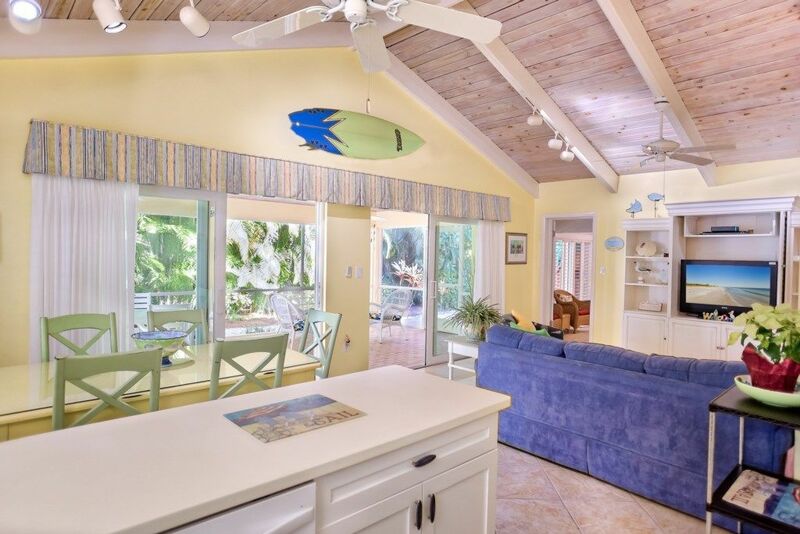 A truly perfect location “Miller Time” is just minutes to the beach, the bay, the local marinas and restaurants yet offers the seclusion of a private home. MillerTime is a delight. Immaculately maintained. Beautifully decorated. Well equipped. 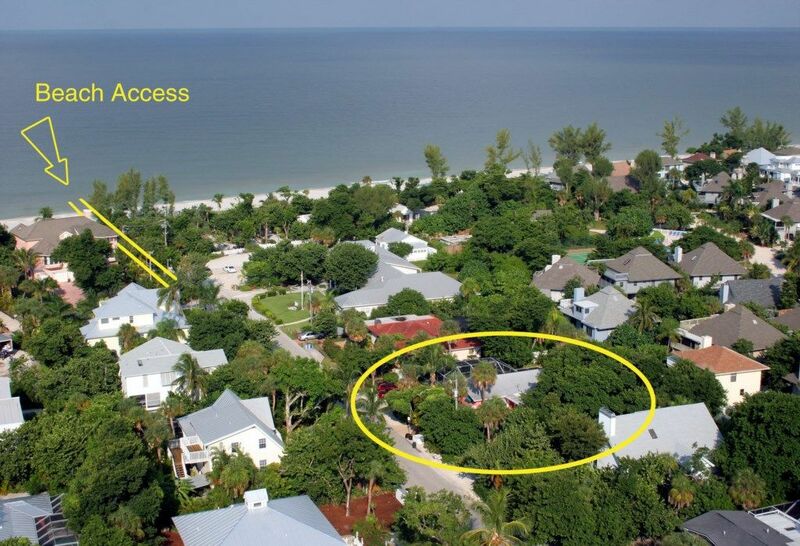 Great location (near everything Captiva restaurants, shops, and especially the beach). Pool and porch area outstanding. Accommodating owners. Simply a great value. 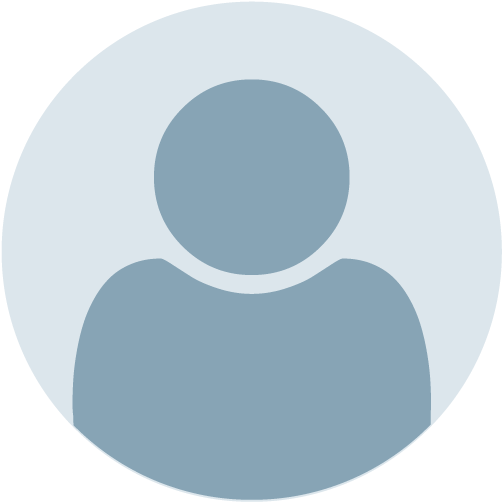 We are experienced renters of vacation homes and our family (six adults) all loved it. -- Paul and Margaret Taylor, Hingham, MA. We rented through Kingfisher and everything went smoothly as they said it would. The house was perfect for our family 6. 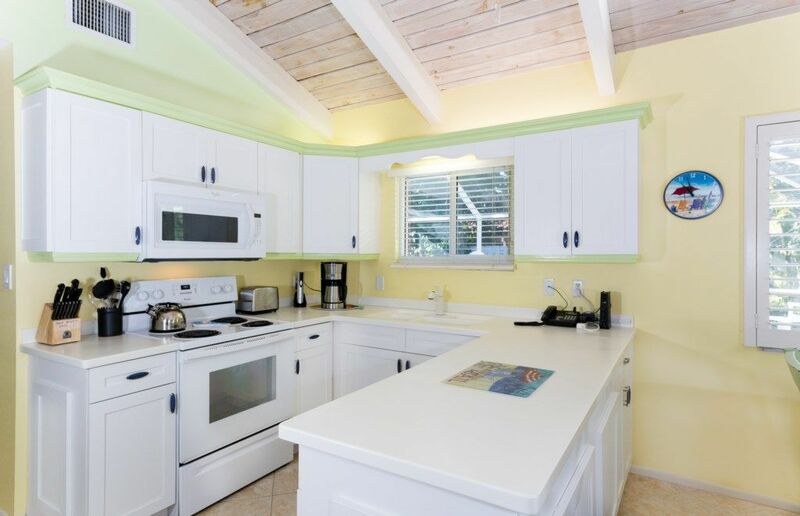 It is a well designed and furnished ranch style house that is very comfortable. The screened pool receives full sun most of the day and was a big hit with our kids. There is a new weber gas grill which is just outside of the pool. 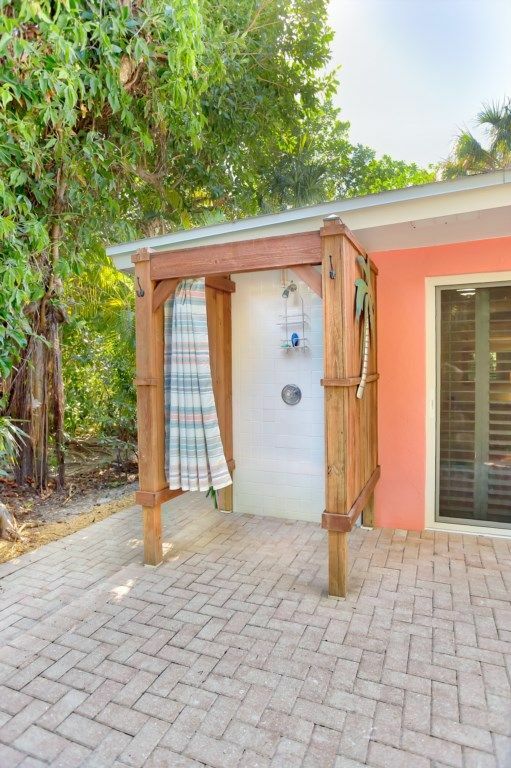 Also a outdoor shower to wash off the sand and the house is beautifully landscaped so you do not notice any neigbors. We used the washer and dryer everyday as well as the dishwasher. 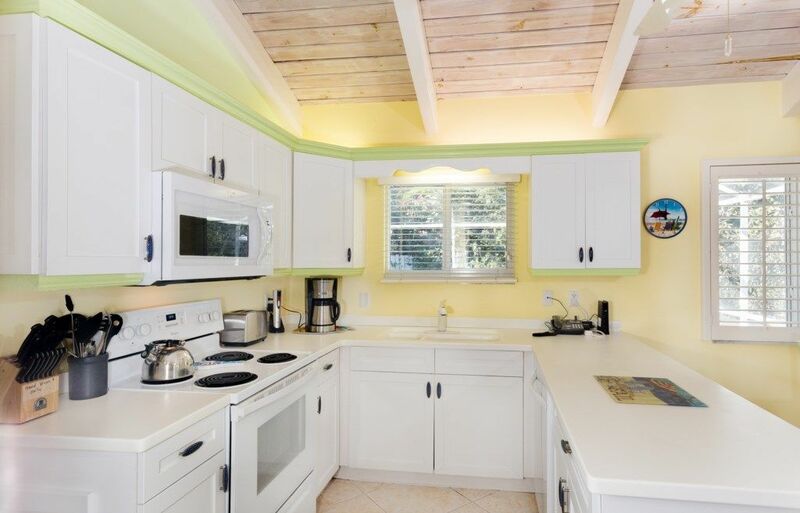 It is located perfectly located 2 minutes from the beach, 4 minutes to Jenssen's Marina and 5 minutes to the downtown area. The location could not be any better and it is a very quiet street. We had a great time at Millertime! 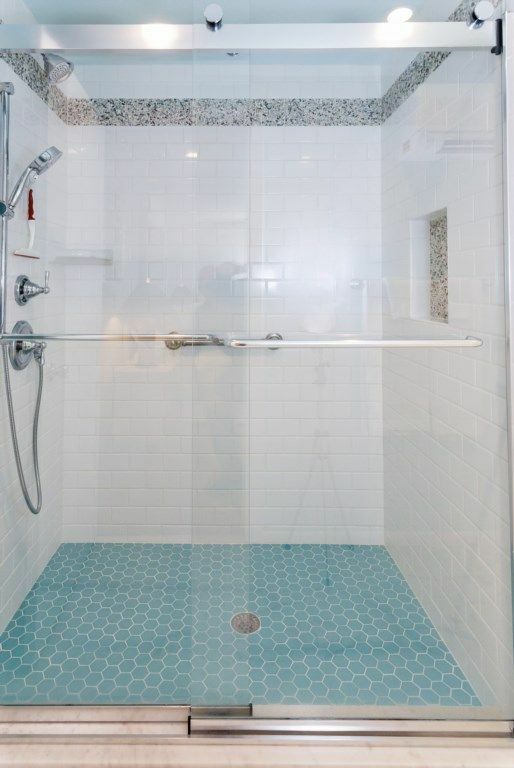 The only v slight negative is that the master bath is small with a stand up shower and curtain. The other bath was bigger and had a tub. We hope to go back and we hope Millertime is available. I cannot possibly express in words how perfect this vacation was, and specifically how perfect this particular house was. The house was the perfect size and all of the beds and the furniture were very comfortable. The living space felt bright and open and very homey. 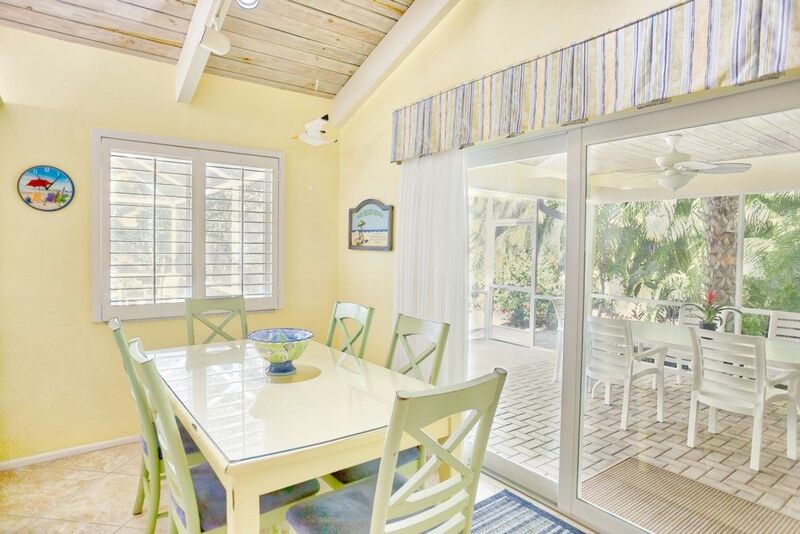 The Lanai was a huge area with a large table and a very cozy sitting area. Two overhead fans ensured that we could get a breeze going out there whenever we wanted, and we spent a large amount of our relaxing time in that area. The heated pool was a big hit with the kids- large enough for our whole group to get in together and swim/splash/play. There was also plenty of space around the pool to watch the kids swimming while enjoying a good book. The house is situated perfectly on the island- and different members of our group commented on how happy they were to be in this specific location on the island. We were in a very calm little grouping of streets so that the kids could safely walk/bike around. The library was right on the street and had a beautiful children's area with a craft table, a computer with games just for kids, and an assortment of pop up books and huge picture books, and every Dr. Seuss book that I could think of. A little trail next to the library parking lot led to a beautiful beach that was never very crowded during our stay. The walk to the beach took no more than two minutes. A 'main' street that ran up through the whole island had a little bike/pedestrian shoulder allowing us to walk or bike up a couple blocks to another street with shops, restaurants, and YOLO rentals. (it was also a quick walk via the beach). RCOtters had a particularly delightful breakfast with outdoor seating, and Keylime Bistro made a delicious afternoon frozen cocktail that could be enjoyed outdoors while listening to live music. I was expecting to find some beautiful shells, but I could never have imagined just how many beautiful shells we would find. I made an early expedition down the beach one day as the sun came up and would recommend that experience to any sheller. We could easily have enjoyed a second week with everything there is to see and do in this area! And if we are ever lucky enough to be able to return we will definitely be staying at Millertime once more!! Our family really enjoyed our time in this home during our family vacation. I was concerned it wasn't going to be big enough, but it was perfect. Thank you for sharing your home with us. The Millertime Villa is AWESOME! The location is fabulous...just a quick walk to the beach, shops, restaurants, and the marina. 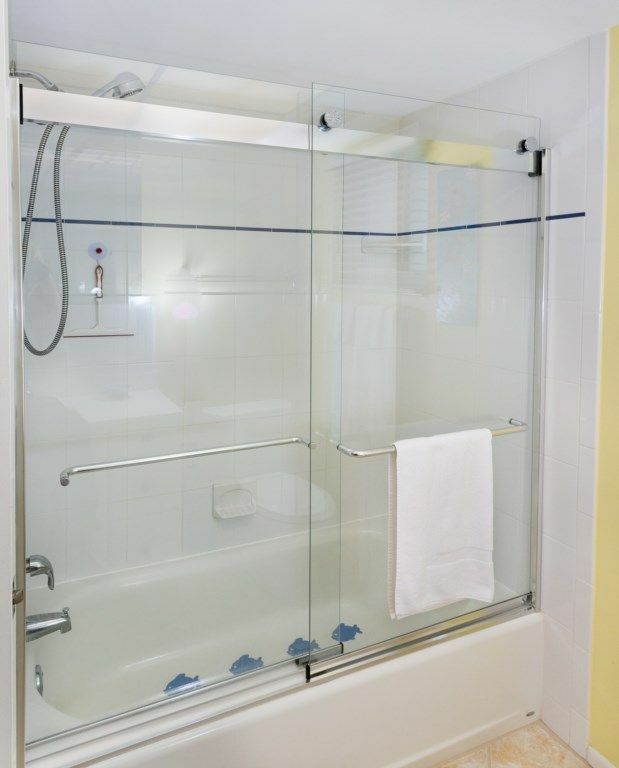 The house is meticulously clean, beautifully decorated, and stocked with whatever you need. The new master bath is beautiful, and everyone even commented on how comfortable the beds were. 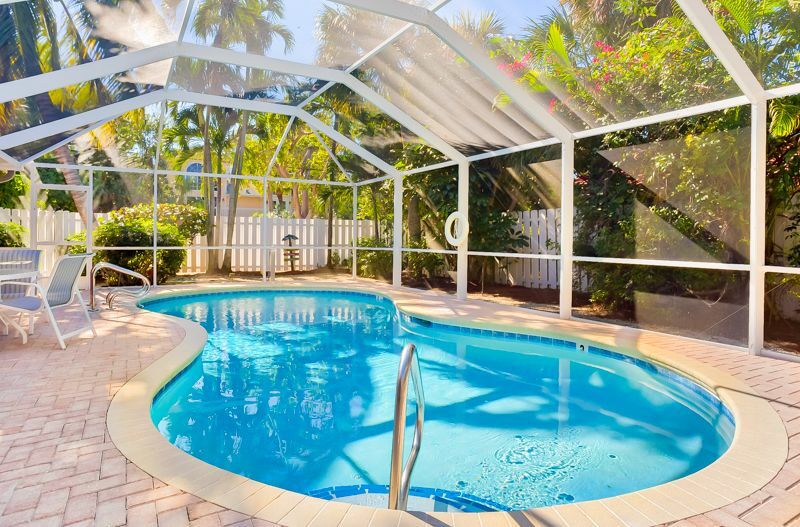 We always especially enjoy the pool and enclosed outside sitting area. 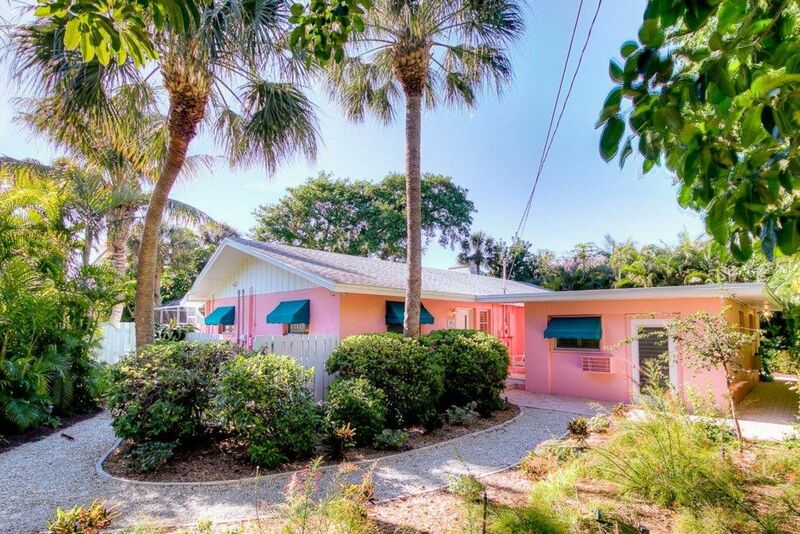 I have stayed at the Millertime Villa many times with various friends, and it is the only place any of us ever want to stay in on Captiva. I'm never at a loss for friends who want to join me! Couldn't recommend a nicer place! 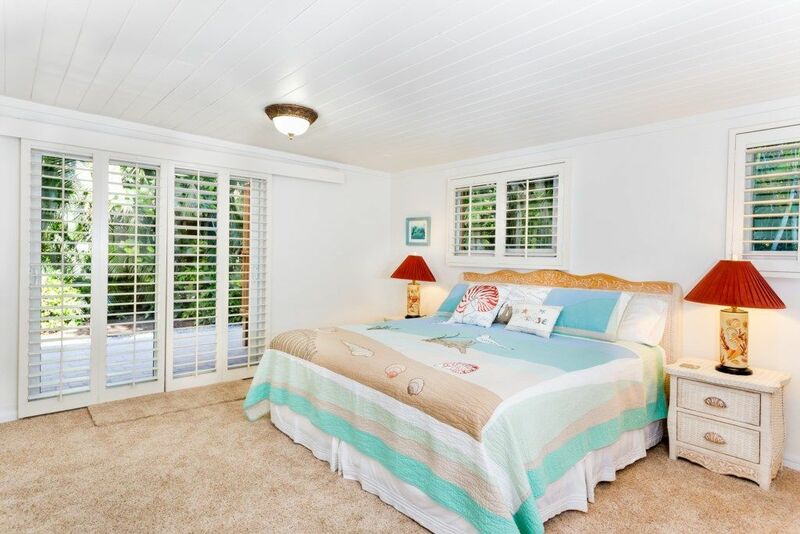 We absolutely loved the new Master bedroom layout! We are hoping to stay there again next year. Millertime is even better in person. Everything is clean and well cared for. 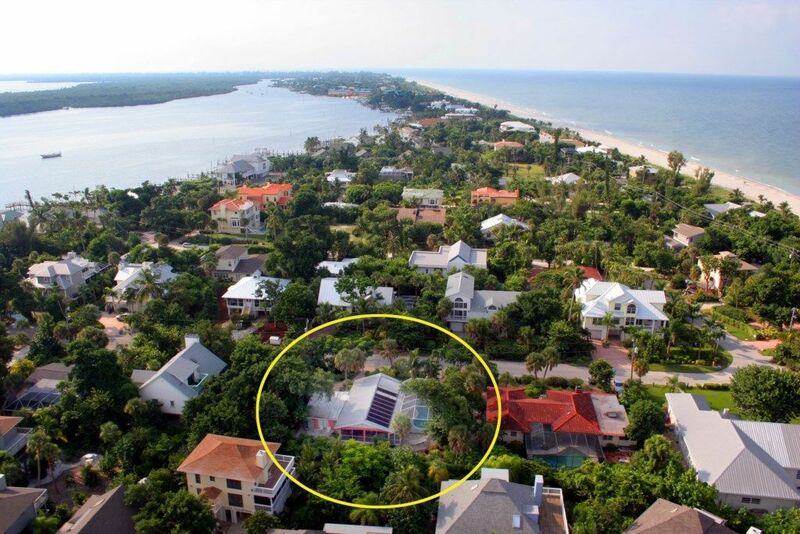 Having your own pool and the beach less than a block away make for the perfect location. The home is inviting. You feel right at home immediately. You can tell the owners take good care of the property. 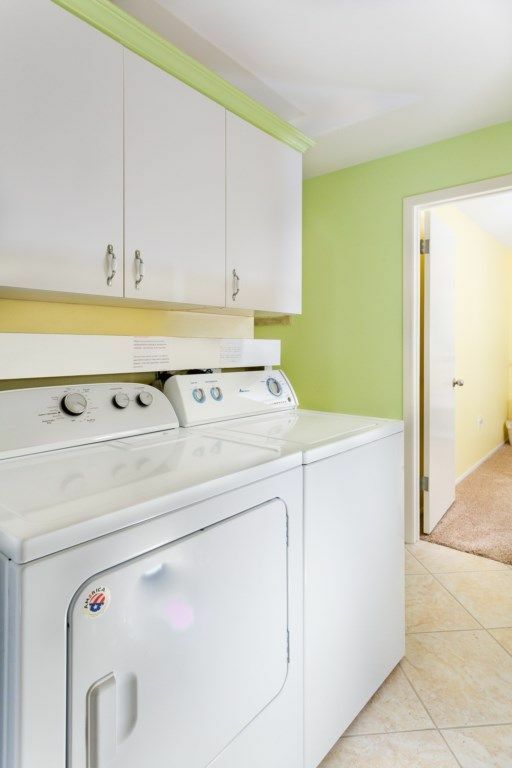 You have everything you need to enjoy your vacation including beach towels, chairs and laundry facilities. The outdoor shower even was warm! Had a great 1 week stay at Miller time with family. 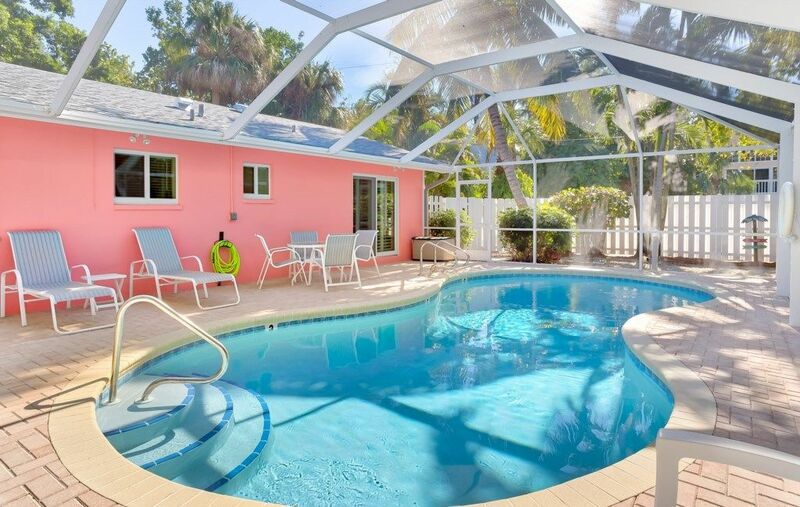 The screened pool is amazing and location near beach (4 houses away) and restaurants is perfect. 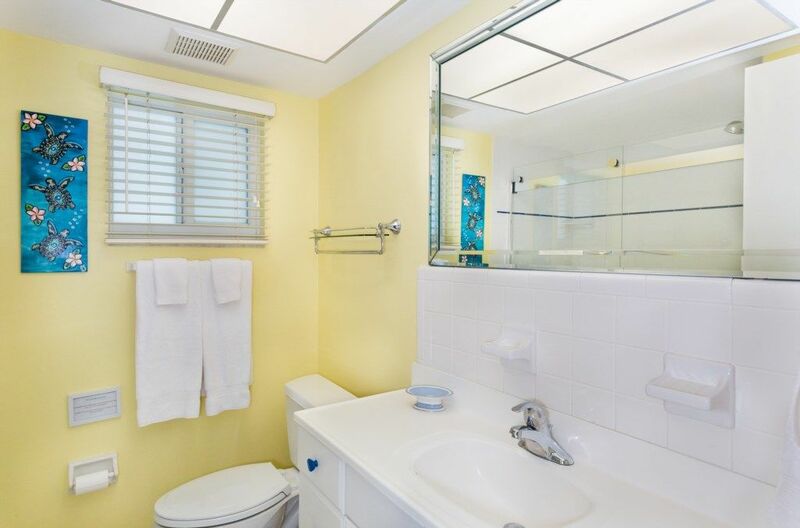 The large master bedroom with updated private bathroom was a really nice treat. We cooked a lot and the kitchen was generally good but we would have appreciated sharper cooling knives - the current ones are mostly dull such that cutting anything takes a lot of work. My wife and I stayed at MillerTime from May 19-26, 2018. We loved the location! 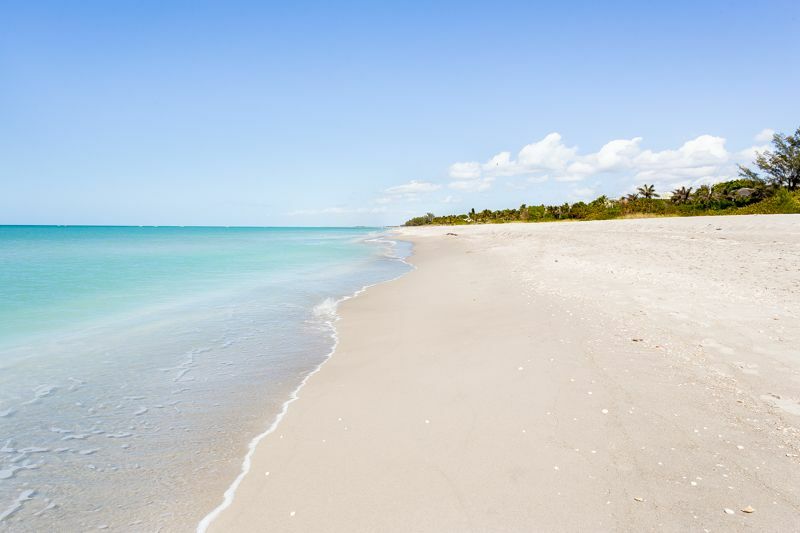 It was on quiet side street and convenient to anywhere in Captiva and just steps away from an uncrowded beach. The house was very clean and nicely decorated inside. The kitchen had everything you needed for cooking and there was also an outdoor gas grill with two tanks of propane. We enjoyed the screened porch in the back of the house which had a dining table and additional seating. The pool was great too and seemed like it was brand new! There were beach chairs and a cart to haul your stuff to the beach. There were a few minor issues but nothing big. The hot water in the master shower was only luke warm so we used the other bath for showers. I found the master bed a little soft for my back so we slept in the other bedroom where the bed was fine. The posting said the house had a stereo which it did not. We like to listen to music for happy hour and dinner so I drove to Ft Meyers to buy a portable speaker to connect to our phones. No big deal. 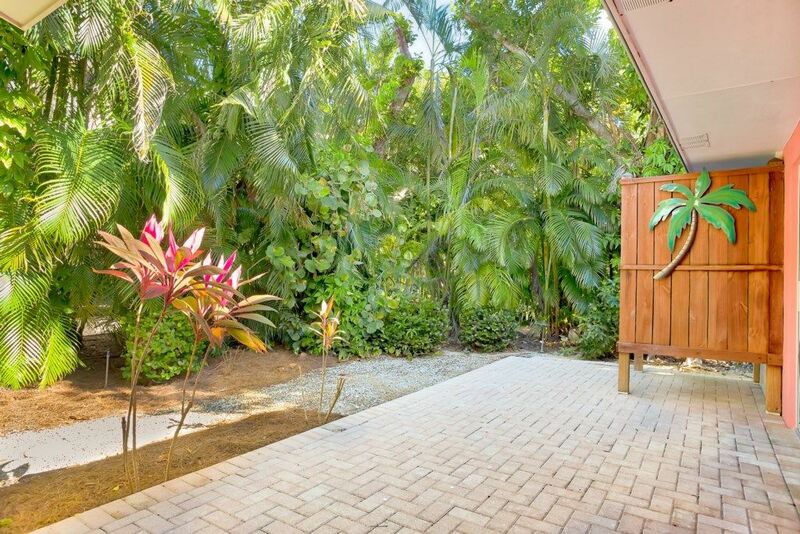 Overall we really liked the property and it was very clean and also very private with all of the lush landscaping. 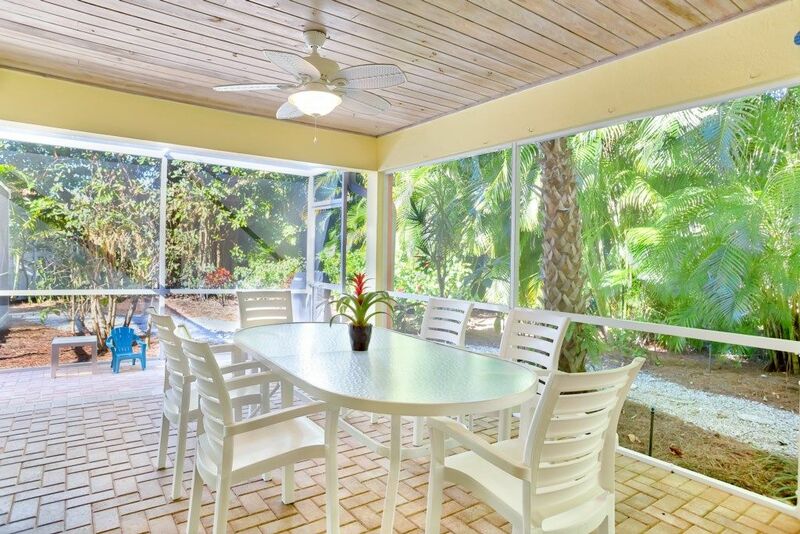 This is a great beach home for a family of 4-6. You are just yds away from the beach (no more than 1 minute walk). The house has basic beach stuff such as cart, chairs and umbrella. The pool is great for relaxing or playing games and the outside seating area in the lanai and under shade was just right when you wanted to escape the sun. Kitchen is well equipped and the fridge/freezer was a good size for a 1 week stay. Master bedroom and bath were a good size and bathroom was clearly recently fitted and was modern. Lovely shower. 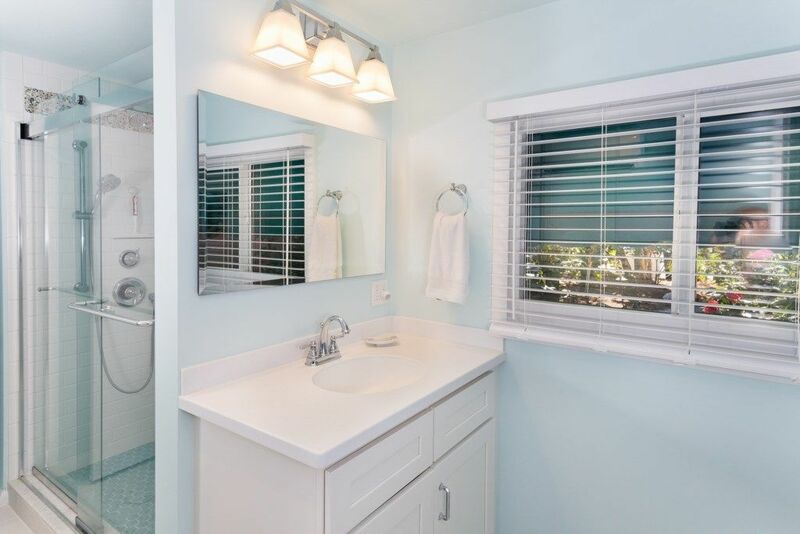 Bathroom #2 is basic but just right for kids. House has some games and puzzles and a few DVDs to use if you didn’t bring your own. BBQ is a gas type and large enough to cook 4-6 burgers or steaks at a time. Pool area and house is very private as it is well landscaped around the house and a privacy fence at the front. 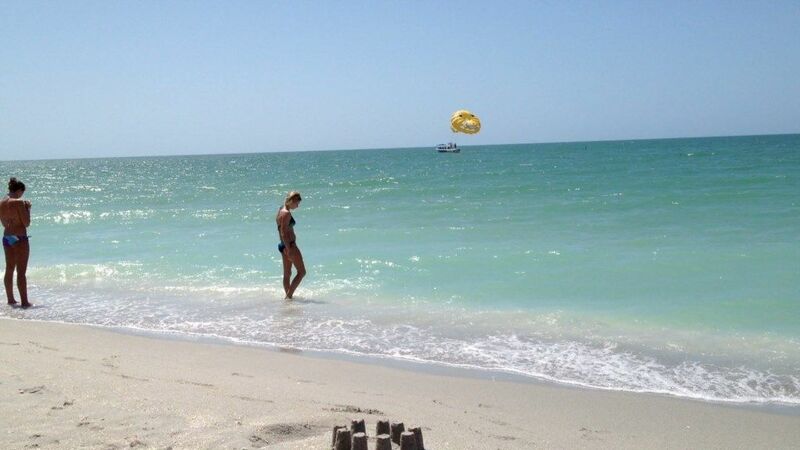 Unfortunately for us, Southwest Florida was suffering from Red Tide while we were there. By our 4th day, the beach was not an option for anything due to all the dead fish on shore and floating in the water. It meant the whole island was much quieter than normal but without a beach, island trips or fishing your choices are limited. That’s not the fault of the house of course and so while our vacation was not 5 stars, the house was 5 stars and it helped make up for a disappointing week.